Without. Using. A. Single. Tool. If your application is sanitary - you need one of these! Contact Fluid Power Engineering. Not only are we an authorized QC distributor. We're also the proud recipient of multiple awards from QC as a premier supplier. We can help! The robot Jimmy Fallon plays beer pong with was manufactured by Universal Robots. Whether you want to play beer pong with it, or do something just a little more practical, get yours at Fluid Power Engineering. You'll have this amazing lightweight, flexible robot arm set up and automated in minutes. You can read more about that here and watch an awesome demo video here. 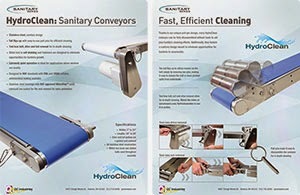 QC Industries' HydroClean Conveyors are designed for clean and efficient handling in all types of sanitary applications. Tool-less belt, drive and tail removal for in-depth cleaning. Watch the video to see it in action. Tension Release Tail for efficient cleaning. Slider Bed is self draining and fasteners are designed to eliminate opportunities for bacteria growth. Extremely Quiet, ideal for applications where workers are nearby. Designed to NSF standards with FDA and USDA suitable antimicrobial belting available. Stainless steel bearings with NSF approved MicroPoly™ solid lubricant are sealed for life and covered for extra protection. Metric hex head and slotted bolts used throughout assembly. Pull pins make it easy to disassemble the conveyor for in-depth cleaning. V-Guided Belts to ensure positive tracking in any environment or applications. Available in accumulation, antimicrobial, and color-contrasting options. Download the brochure: PDF format. Meet Universal Robots. Fluid Power Engineering is thrilled to announce this new partnership. Even inexperienced operators can have a new industrial robot up and running in less than an hour. 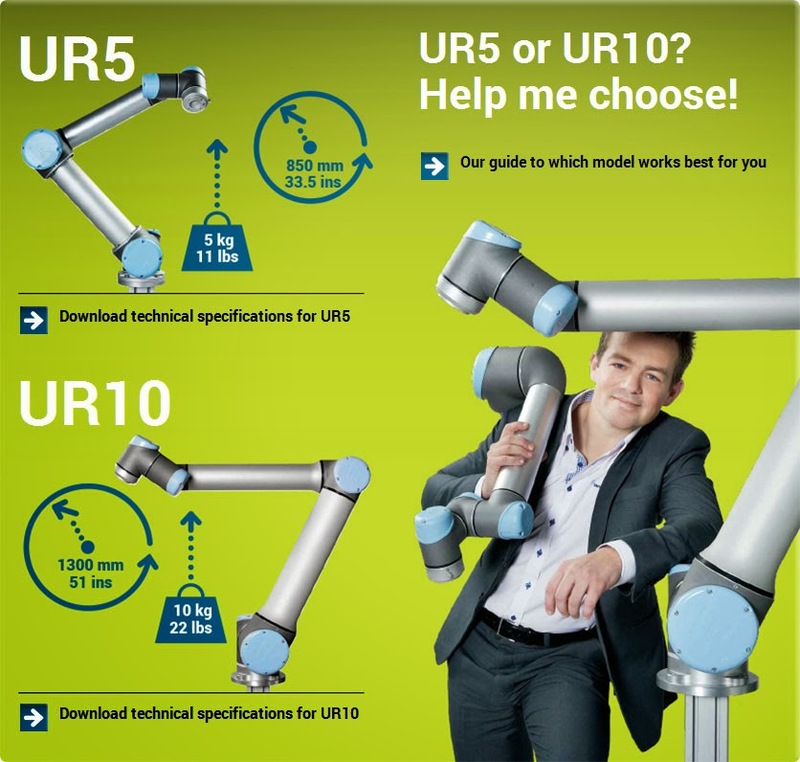 Universal Robots collaborative robotic arms offer unparalleled performance in precision handling, flexibility, reach, and payload. No, kissing it better will not help, but the application of ”the right suction and the right lips” prior to lifting can actually help avoid damage and injury. Apart from being backbreaking work, lifting heavy objects can so easily end in disaster. According to the laws of physics, the gravitational potential energy gained by lifting can convert to kinetic energy just to end in an almighty crash, buckling metal or shattering glass, and potentially injuring anyone nearby. Kissing it better will not help, but the application of "the right suction and the right lips" prior to lifting can actually help avoid damage and injury! How is this possible? Read this whitepaper written by Piab and find out how the latest vacuum technology makes ergonomic lifting devices even safer. 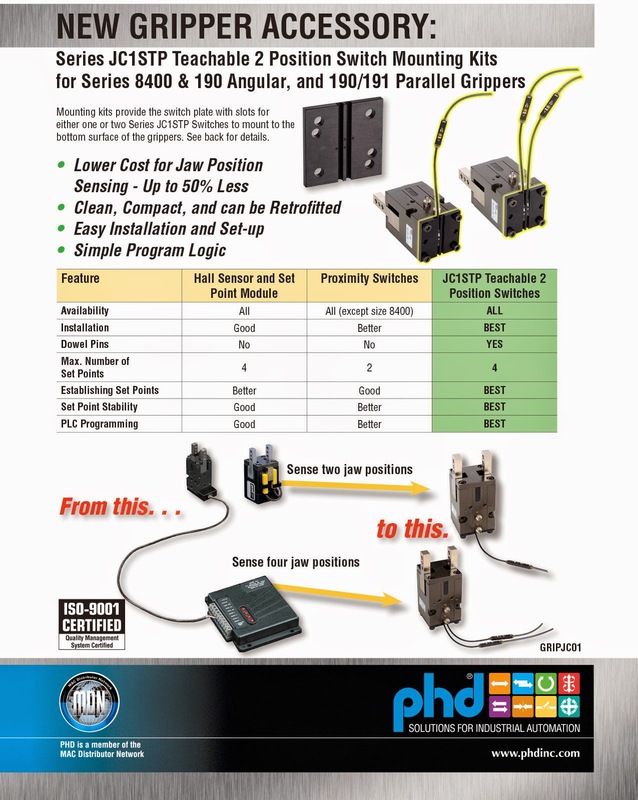 PHD is pleased to release the JC1STP Teachable 2 Position Switch Mounting Kit for Series 8400 and Series 190/191 Grippers. 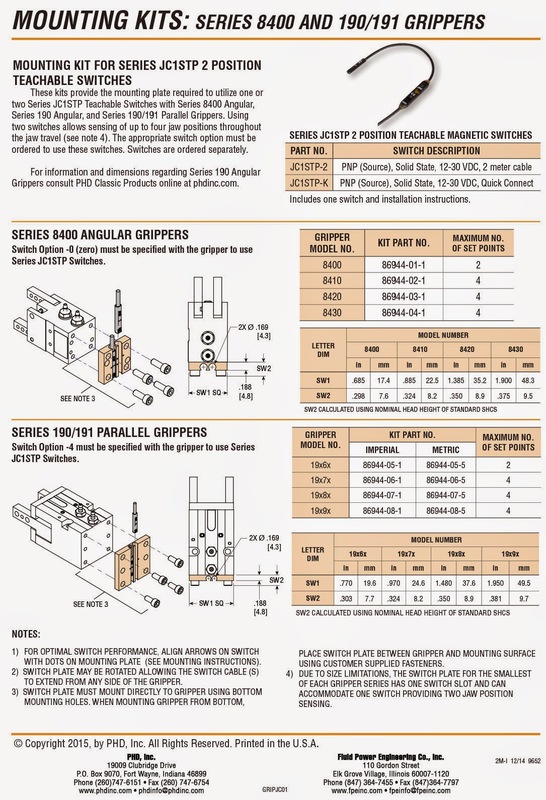 Mounting kits provide the switch plate with slots for either one or two Series JC1STP Switches to mount to the bottom surface of the grippers. Using two switches allows sensing of up to four jaw positions throughout the jaw travel. Since this accessory uses an existing switch ready option and only requires ordering the mounting plate and switches, it is very easy to apply.